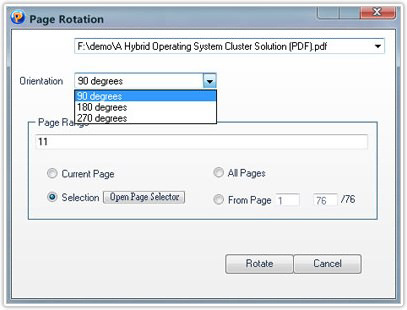 With the "Rotate Pages" function of PDFCool Studio, the user can rotate the selected pages to 90, 180 and 270 degree. 5. Click on Rotate button to finish.